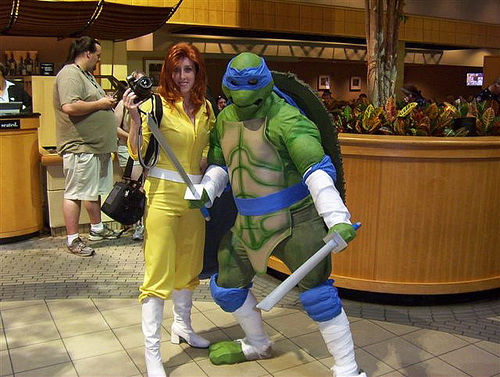 It appears a lot of over fans still love the green guys that make up the TMNT as there's a lot of cosplay action out there! 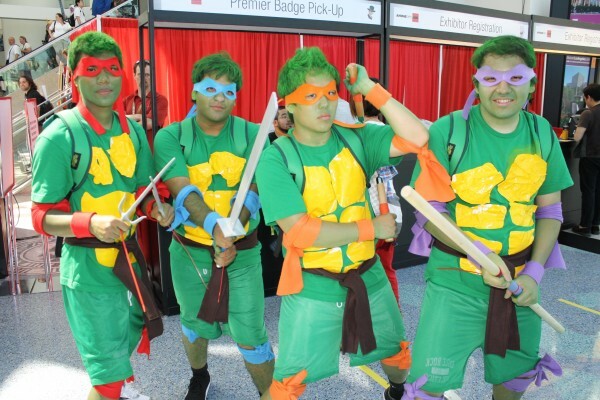 Check out these costume players living out their fantasies of being a green shelled super hero! Gee I love being a Turtle!! Oh I found the pizza. It was attached to some babes. 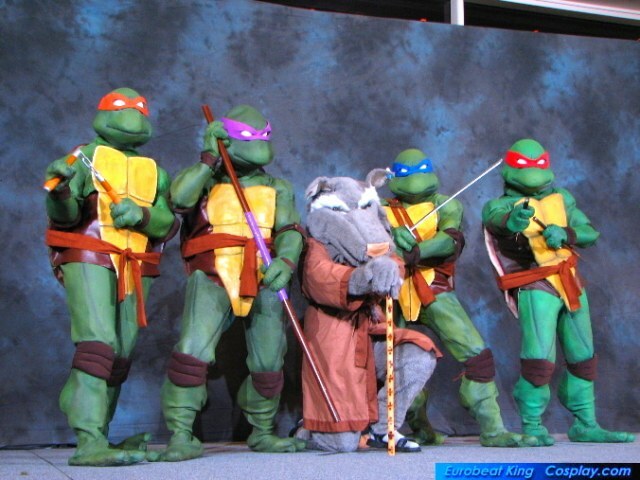 Hands off theme Splinter! 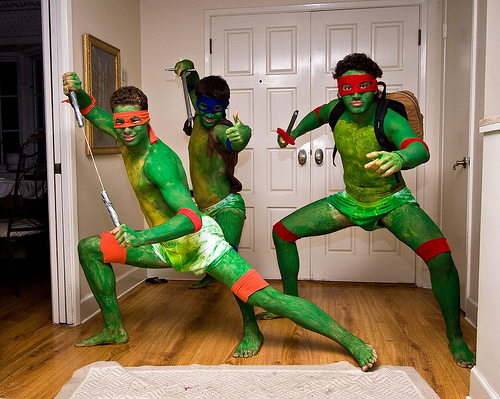 I think these three lads with their nun chucks and bad greed body paint counts as a cosplay fail. 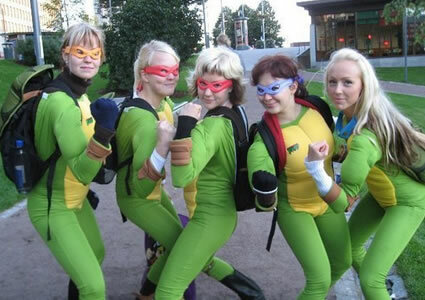 Maybe they should have got some body painting tips from these ladies.... below is some pretty awesome costumes of the TMNT which I'm assuming was from some promotional venture. 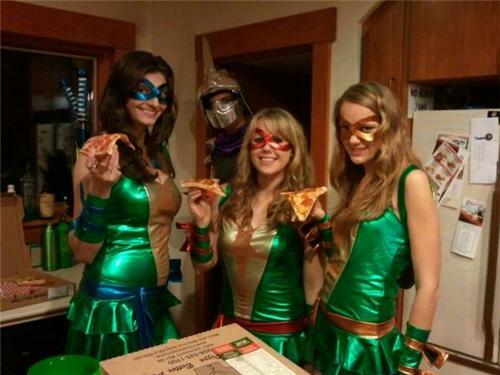 I don't think the middle one eats enough Pizza! Here's a question for you. 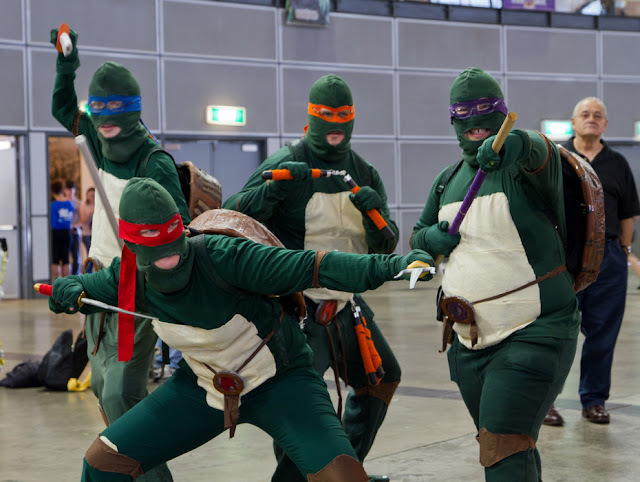 If the turtles are gluten free, what would there favourite food have be?